Depend on D and S Nuisance Animal Control LLC for wildlife removal services. When you hire our team to find and get rid of a critter for you, we complete the process quickly and affordably. Our professionals will also clean up and repair spaces that the animal may have damaged. Contact us today for more details. If you have a bat problem in your attic, let our experts resolve it. We offer bat removal and control services to home and business owners. With us on the job, your unwanted guests will be eliminated safely and efficiently so that they don't return. We then clean up any guano that the bats leave behind by using the industry's latest technology. 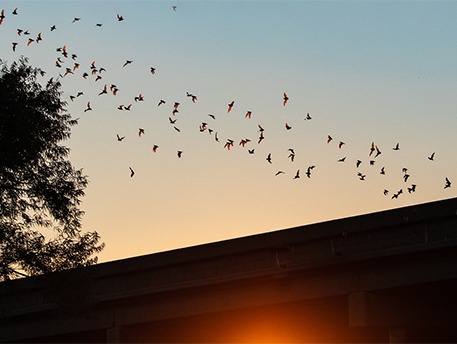 It is important to remove bats from your property, as leaving them around may cause health concerns. Not only can you, your family, and visitors be exposed to rabies (the worst public health issue associated with bats), but there is also the risk of developing histoplasmosis. Histoplasmosis is a lung disease that can be caused by bat guano.